The irony behind it all is that what makes a racecar a racecar is not its engine, suspension, brakes, or aero. It's the safety equipment - the roll cage, seat, 6-point harnesses, and the helmet and race suit that you need to wear to safely pilot the machine. As mundane as it seems, it's your safety equipment, not the go-fast gear, that separates your racecar from the average street car. The bolt-in roll cage is your cheapest and most basic option. And contrary to popular opinion on internet forums, I would say that there is nothing wrong with it from a safety standpoint. Sure, it might be ugly and it might not provide much rigidity for the chassis, but as long as it's 6" above your head and has no sharp edges or structural weaknesses, it will help save your life in a crash. I have seen several very ugly looking crashes involving cars with a bolt in cage (some of them in person) and in each instance the driver walked away with his life. Obviously, the advantage to the bolt in cage is the cost. An Autopower or Kirk Racing 6-point roll cage can cost as little as $800. If you are careful and have a powerful enough a drill, you can do the installation yourself too. Without the help of an expensive professional cage builder. See those front legs in the middle of the doorway? Autopower designed the cage so it could be installed with the factory dashboard in place. Yes, it lets you keep the stock dashboard, but it also means that you have to crawl around those bars in order to get in and out of the car. I can tell you from firsthand experience that this is not a pleasant experience. Take a look at those door bars too. Because bolt in roll cages are designed to slip together, the door bars are generally going to be bars that just go straight across the doorway. While this covers the basics for safety, it could be a lot better. This affects driver comfort too. I've driven cars where the door bars are so close to the driver that my elbows contact the cage. It's pretty distracting, not to mention unnerving that the only protection between a big, heavy car and your torso are these two metal bars which sit inches from you. By "Semi-Prebuilt", I'm referring to a pre-fabricated roll cage which is modified or customized with tubes to fine tune the fit, finish, and characteristics of a roll cage to meet the needs of the driver. This is the hybrid, compromise configuration, and the one that is in my current racecar. The advantage of a hybrid roll cage is flexibility and cost. The most expensive portion of roll cage fabricating is the design and building of the main hoop (the big overhead tube that makes up the center of the roll cage). By buying a pre-fabricated main hoop, you earn a significant cost savings, and you have the opportunity to customize the front legs, door bars and harness bar. Look at the CRX in the photo above. That cage started as a medicore-fitting Autopower weld-in cage, stretched out, refitted, and customized for half the cost of a fully custom roll cage. Without looking closely, it's very difficult to tell that this wasn't bent from scratch. You will need to find a roll cage builder who can weld a safe roll cage, which is one of the few downsides to the hybrid roll cage approach. You should also expect that the fit and finish of the cage will not be as good as a fully custom built roll cage. But with real-life costs between $1200 and $2000, this is an option worth considering for the budget-minded racer. During the 2010 off-season, Charlie Greenhaus from Entropy Racing modified the whole front half of the Prelude's cage from the main hoop forwards. Charlie designed a whole new front end, pushed the front legs forward, boxed the legs, and installed NASCAR door bars that extended into the doorways. Notice how much further forward the front legs extend, and the NASCAR-style side impact bars in the doorway. Not only is this considered a safer design, it makes ingress and egress from the car considerably easier. The overall cost for this cage, including the bolt-in main hoop, was around $1900. This is the tailor-made route and is by far the most costly. A frugal cage builder can put a safe road racing cage in a car for under $4000 with careful planning. Often, the costs are much higher. The advantage of a fully custom roll cage is obviously its fit. Pre-fabricated cages are deigned so that they can be partially assembled before they are pushed through the narrow door openings on the sides of the car, and this means that they are never as close to the chassis as they could be. By bending one tube at a time and fitting each tube carefully, the cage builder can make as few compromises as necessary. In many cases, this approach is necessary. Some cars, like the 93-97 Civic del Sol, have such an oddball interior shape that prefabricated cage components don't fit well. The bolt-upright rear window in the del Sol means that the rear legs of any roll cage has to go through the rear glass and bolt into the chassis behind it. Fortunately, the car has Targa tops that can come out to help fit the larger tubes into the car. Otherwise, it would be nigh on impossible to fit a racing roll cage into that diminutive interior. This car belongs to a very good friend of mine, and the cage was built to his exact specifications by Entropy Racing. The specifications called for a supremely well-fitting cage with cage bars that were so tight against the chassis that they were virtually invisible. Mission accomplished in this car. From a distance, you can barely tell that it's a caged racecar. A custom roll cage allows for some highly unusual features too. Take a look at these door bars. They are, to the letter of the law, legal to the rules of all of the major road racing organizations. The ingress / egress is super easy thanks to the forward sloping contour of the bars while the ability to use the factory side impact protection and door skin provides for a significant benefit in impact attenuation when it comes to side-on collisions. What I can tell you is that the conversation only became productive after I started talking to a good cage builder with plenty of experience and excellent welding skills. If you happen to be in the NJ / NY / PA area, I would recommend Entropy Racing or Evans Tuning for semi-prebuilt or custom road race cages. Autopower and Kirk Racing are household names for prefabricated cages, and are trusted by thousands of racers across the US. Before you go adding anything into the car, take a look around the inside and think about what you are going to take out. Having stock carpets and trim might appeal to you initially, but when you aren't allowed to run with the windows up, you'll realize that it gets destroyed very quickly. Not to mention that it's extra weight as well as a serious flammability and melting hazard if your car ever caught fire. The rulebook for your class will dictate what you can and can't remove, so take a close look and take out anything that you don't need. Passenger seats, stereo, speakers, carpet, headliner, trunk trim, door cards. All of that should come out of the car an go straight onto Craigslist. Peel that soundproofing tar off of the floor and back seat area too, either by freezing it off using dry ice and a chisel, or using a heat gun and scraping it off. The stock soundproofing tar can melt in a fire and will get in the way of a safe roll cage installation. Take a close look at your dashboard and your A-pillar and think about whether you want the roll cage to go behind the dash or in front of it. If the rules permit, think about whether you just want to remove the stock dash entirely and replace it all with aftermarket gauges. Look closely at your doors. Do you need the stock door internals, or do you want NASCAR style door bars which go into the door cavity? Leaving the stock door internals is cheaper, and you get to keep some creature comforts, like your door handles and maybe even the windows (surprisingly handy for transportation and storage). Entry and egress is often much easier when the door bars protrude into the doors though, and there is a certain sense of comfort in having the side impact bars further away from your body. At the very least, take out as much of the interior as you can before you take the car to the cage builder. This will help the builder get a good idea of what exactly he or she will need to do to install a cage in the car. When I dropped my car off, the only piece of interior trim in it was the dashboard. And even that was just resting on its studs. All of the nuts that used to hold it in were in a ziplock bag taped to the ceiling. 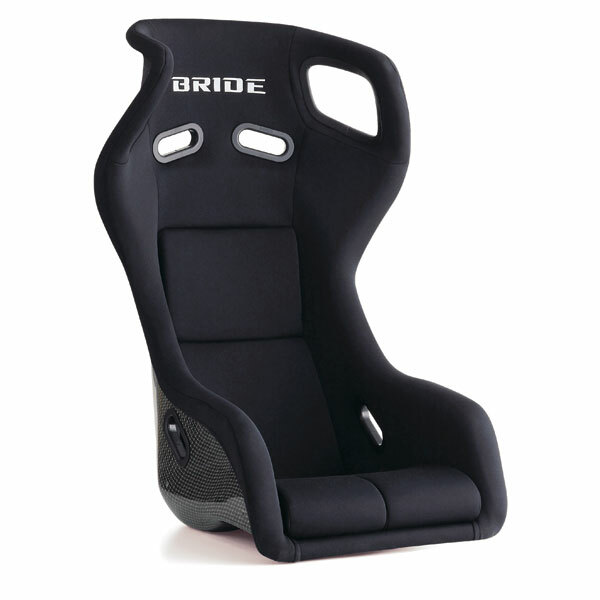 A good racing seat will fit the driver snugly, fit well inside the car, provide sufficient support in all of the important areas, be as comfortable as possible, be installed in a way that it can help dissipate crash forces while allowing for reasonable ingress and egress, and be compatible with all of the items which are needed to meet the safety requirements of your class. Don't worry, it's not as bad as it sounds. There is a tremendous amount of debate on which option is safer in different types of crashes. What we can say at this point is that when installed to the intent of the rulebook, both options will help increase your chances of survivability in a crash. FIA homologated seats are made of either a composite blend (usually fiberglass, Kevlar, and or carbon fiber blend) or a steel tube frame covered in cloth. They are designed to be mounted to the chassis on the sides or bottom of the seat, and are designed to flex to dissipate crash forces during an impact. Most US racing organizations will allow you to use a FIA compliant seat without a seat back brace. Because composite gives designers the flexibility to produce strong, complex shapes, they feature more intricate side supports and side supports that make the seat easy to get in and out of. The seat backs are curved to fit the shape of the human bottom and back - when you find the right fit, it will feel like the seat was designed for you. The downside is that composite seats become brittle over time, and need to be replaced periodically. Oh, and FIA compliant seats are expensive - expect to spend between $400 and $700 for an entry level FIA rated seat. Rigidly fixed seats can be made from a variety of materials, most often aluminum. They are designed to be mounted to the chassis at the sides or bottom of the seat, as well as to the harness bar of the roll cage using a seat back brace. Aluminum seats are designed to deform in specific areas to dissipate the energy from an impact. Aluminum seats tend to be thinner and have taller supports, so taller drivers will tend to gravitate towards an aluminum seat, especially in a smaller car. The taller lateral supports do make ingress/egress more difficult for smaller drivers though. Being blocky in construction, they are not the most ergonomically sound pieces, and you should expect much less of your body to be in touch with the seat. The big advantage in rigid fixed back seats is in the economy of it all. Aluminum seats, for example, are significantly cheaper than FIA compliant composite seats, and are easily modified to your needs. A basic aluminum road racing seat can be had for about $150 - $250 brand new. And there are tons of options. Need better shoulder support? Just unbolt the supports that the seat came with and install new ones. Want to upgrade to a full containment seat with head restraints to protect you? Just order that piece from Kirkey and bolt it onto the seat frame. Aluminum seats also don't wear out the same way that a composite seat does, so if you don't crash and don't do anything to damage the seat, it will last a long time. *The two starred criteria are a product of the anticipated usage of the car and some practical knowledge of human physiology. Curling your back and your shoulders forward in a boxing-like stance contracts the muscles around the weaker bones in your upper body. This in turn helps them protect your fragile innards against sudden impacts. However, this position also happens to be very tiring if held for an extended period of time. I wanted to build the Prelude for sprint races between 15 and 60 minutes in length, so I looked for protection over comfort. If I was building an endurance racing car, I would have chosen a seat with wider shoulder supports and a seat back that allowed for a more relaxed posture. After sitting in countless seats of many different make and type, I settled on a Bride Zeta III. It cost as much as some full containment seats, but it had all of the qualities I needed and fit my body the best. Crucially, it also fit in the car. The 4th gen Honda Prelude has an unusually low roofline for a near-luxury GT car. I had to return two seats because they either hit the B pillar or they sat way too high for me to fit safely under the roll cage. I'm not the first to encounter this either. This poor chap put serious money into putting a beautiful cage in his 4th gen Prelude before he was about half a foot too tall to fit under it. Speaking of size, if you weigh more than 175 lbs you may want to be careful when shopping for FIA certified composite seats. The FIA uses the Humanetics Hybrid II and Hybrid III 50th percentile dummies on the sleds when they crash test seats for 8855 and 8862 certification. The Hybrid III 50th percentile weighs around 171 lbs, and the Hybrid II 50th weighs just 164 lbs. If you weigh significantly more than this, there is a possibility that the seat might not protect you as well as it is designed to. Almost all of the major seat manufacturers will list a weight limit for each seat. Caveat emptor. Once you have your seat and the mounting brackets for your car, take some time to install the seat in your car and find a good driving position for yourself before you have the roll cage installed. Make sure that you have the visibility you want, that you can reach the pedals easily, have full range of motion on the steering wheels and unobstructed access to the shift lever and other critical controls, and that you are generally comfortable. Your seat and driving position will determine some critical dimensions on the roll cage such as the height of the harness bar, the position of the dash bar, and even the routing of the tubes above your head. If the cage and/or the seat mounts need to be modified to make everything fit, the cage builder can do it while the cage is being installed. I spent several weeks and spent an entire track day event perfecting my seating position in the Prelude. As pedantic as it sounds, I can tell you it was time well spent. Most amateur road racing organizations in the US require a racing harness with 5, 6, or 7 mounting points with individual mounts for each shoulder belt and carrying a SFI 16.1 rating or a FIA homologation tag. Since nylon webbing degrades over time and with exposure to UV light, these harnesses must be replaced regularly - SFI rated belts can only be used within two years of their date of manufacture, while FIA belts can be used for up to five years from its date of manufacture. On the left is a SFI 16.1 rated latch and link harness, and on the right is a FIA certified camlock harness. Generally speaking, a 6-point racing harness is easier to install than a 5-point racing harness, because the anti-submarine straps can share the same mounting bolts as the lap belts. In a closed wheel car, you always want pull-down style shoulder belts, which are easier for the driver to fasten. FIA homologated racing harnesses are expensive, at two to three times the price of a similar set of SFI belts, but most racers will spend the money so they don't have to replace and reinstall them as often. At the center of every FIA homologated racing harness is a camlock mechanism, a small disc-shaped with a slot for each belt. Click each belt into the buckle individually to strap yourself in, and turning the small lever in the front to release all of the belts at once. SFI rated belts will either use a camlock or something called a latch and link, a heavy, secure-feeling metal buckle that fastens over a leather pad. Many drivers prefer the latch and link mechanism over a camlock, as the distinctive lever mechanism of the latch and link is very easy to fasten by feel. This is a surprisingly convenient, since you won't be able to the buckle when you are strapping into the car (the helmet obscures your view). It's important to know exactly which harness you want in your car when the roll cage is installed, so that it can be fitted and mounted to the strongest possible parts of the chassis. I chose a 6-point SFI Rated GForce racing harness with a latch and link buckle for the Prelude. The shoulder belts are 3" to fit tightly into the grooves of my Simpson Hybrid head and neck device, and they are wrapped tightly to the harness bar of the roll cage in accordance with the instructions from GForce. Yes, I have to ship them back every two years and pay $55 to have them re-webbed. I don't mind. There a few studies out there correlating UV exposure and how it affects the tensile strength of nylon based high strength strap material. The material used in racing harnesses loses around 50% of its tensile strength after two years of indirect UV exposure and loses almost all of its tensile strength by the fifth year. The reason they can certify any racing harness for that long is that the belts are constructed with astronomically high tensile load ratings in mind. But I do prefer to keep the belts as new as possible. Just in case. Technically, the cage builder will be more interested in the mounting hardware for the window net than the net itself. After all, window nets are all pretty similar: They are big rectangles of woven nylon material or a mesh made of high tensile fibers designed to keep your arms and head from flying out the window during a crash. There are three popular types of window net mounting rods, each with a different type of quick release mechanism. One uses a seatbelt-like metal buckle, one is a metal latch that swings down, and one has no fastener at all - instead the rod is spring loaded so that it will release if you pull on it. This might seem like a minor point of preference, but if you think about the fact that you may have to release the window net in a panic situation at some point, it's worth taking the time to figure out which one feels the most natural to you. Bring the net and the mounting hardware to the cage builder and ask him or her to do the installation for you. My window net is held up using a rod with a latch-type release mechanism. Charlie at Entropy Racing built this clever pivoting swing arm so that I could raise and lower the net with one hand. Firefighting is a topic in which I have very little practical experience, a fact for which I am immensely grateful. That also means that I can't tell you whether an AFFF extinguisher is a better option than a semi-automated fire suppression system with Halon 1301. What I can tell you is that if you plan to install a fire system, tell your cage builder about it so that he/she can make accommodations for it. I use a handheld sodium bicarbonate fire extinguisher in the Prelude. It's mounted to the floor where I can reach and release it from the driver's seat with the belts on. Building a Honda Prelude Race Car - Part 1All successful racecars are built to the rules defined in its class. Class rules determine the allow...Building a Honda Prelude Race Car - Part 3Digging into the suspension system of the StudioVRM.net Honda Prelude racecar.Building a Honda Prelude Race Car - Part 4The ins and outs of the Engine of the StudioVRM.net Honda Prelude Racecar in Part 4.